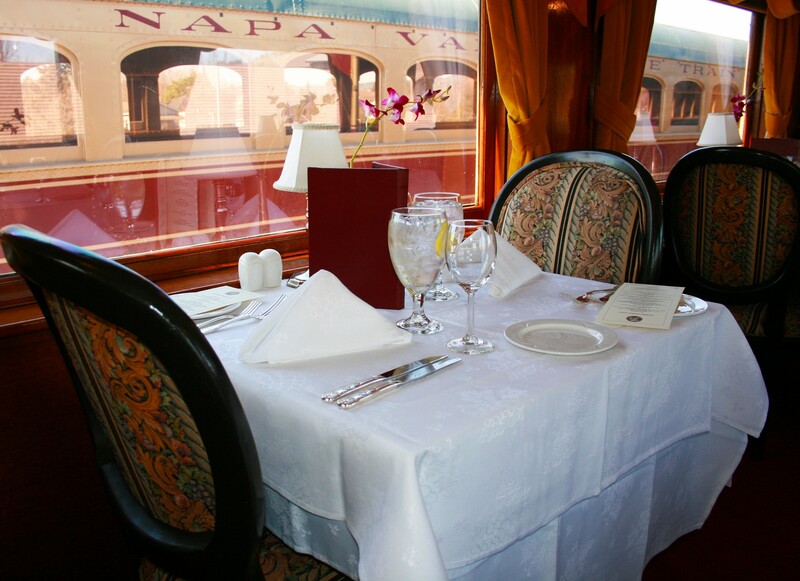 The Gourmet Express. A 1917 Pullman car, where black porters met your every need. Ever since hearing about the Napa Valley Wine Train incident where a group of black women were thrown off the tourist wine train for loud laughing I can’t get it out of my mind. Of course it illustrates the racism so much in the news lately. But it illustrates another aspect of white supremacy than that usually discussed. Police violence, racial profiling as “criminal”, media portrayals of black men, economic barriers—all these fall into the institutional enforcements of a racist system. a constellation of knowledge, ideologies, norms, values, identities, and behaviors that maintain a race and class hierarchy in which white people disproportionately control power and resources. Within the group of white people, a small minority of elite control most of the group’s power and resources. The pillar of white supremacy brought out by what happened on the Wine Train is that of norms and behavior, which are difficult to talk about, in part because it’s so easy to slide into stereotypes. When I first heard of what happened to the book club women, I immediately thought of my own introductions into black community, first as a teacher in Oakland and later as a lesbian feminist involved with black lesbian groups. In both instances, “loudness” is a quality I associate with the experience. It took me a while to recognize the various cultural patterns I first perceived as rude noise. For example, in readings or performance, a black audience will often comment, call out, lend their support to the artists verbally. I was raised within dominant white norms, which require silent attention. After years I finally let myself participate in verbal response and find I enjoy it. However, I’ll never be completely comfortable as it makes me self-conscious. Such is the power of dominant cultural norms. People of color talk about the split they often experience in attempting to fit themselves to the behaviors required in white spaces. Learning to “fit in” has enormous importance to their economic and physical well being. For those of us who identify as white, learning to fit into black spaces is usually a choice and has no impact on our status or economics or safety. 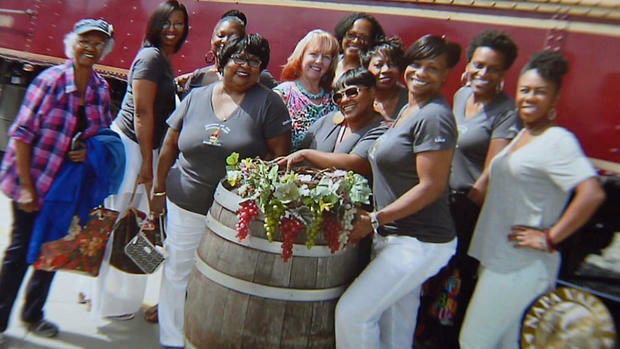 I believe that the women on the Wine Train were behaving in completely acceptable ways and being on vacation did not feel the need to censor themselves and “act white.” The patrons who complained were made uncomfortable by black women behaving within black cultural norms. Wealthy and upper middle class white folks live in such a segregated society that they actually have little chance to experience other cultural norms and behaviors. Furthermore, other “pillars” of white supremacy produce images and ideas that brand black cultural behaviors and norms as inferior to white, dominant culture, if not outright criminal. Is this a “white space”? In some ways, folks who labeled the women as “disruptive” were correct. They were disrupting the assumed white normativeness of the Wine Train. If we ever hope to dismantle white supremacy, white people will have to welcome disruption into all the white spaces. Let’s allow ourselves to be uncomfortable for a bit in order to come into the pleasure of true multiculturalism in all its richness. And laugh loudly on the train. 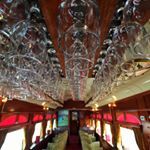 One Response to "Wine Train Norms"
I don’t disagree, but would add that white people do get loud, and don’t suffer the same consequences (i.e., that there’s also a double standard at play). When white people are loud (say, the white American In Europe [notorious], or white teenage boys playing outside, or white cops yelling at Black people, or white politicians blathering in public, or boisterous white girls in the mall), white society doesn’t usually call the cops and expel them. There’s no uber-class to do so. We are generally allowed that behavior when it suits us.